We offer a number of courses related to Health & Safety that can be adapted to meet the needs of your organisation. Health and social care workers are relied on to carry out a wide range of different tasks for individuals, and may not recognise many of the potential dangers they face on a day to day basis. Some home care workers work alone and can be particularly vulnerable as they are isolated from other workers and cannot easily liaise with colleagues. 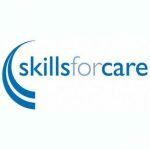 This course is specifically designed for all care workers including non-paid care workers who support and care for individuals. Practical assessments and underpinning knowledge will be assessed and facilitated by the trainer. All participants will receive a certificate of completion. We are accredited by NCFE and you can choose whether you wish to register for an accredited certificate. Preventing accidents and ill health caused by work is essential for everyone at work. Whether you are an employer employee or self-employed, are you sure that you’re up to date with how to identify the hazards and control the risks from your work? If not this course is for you. This course is designed for staff who work in situations where their personal safety may be at risk, both inside and outside the workplace and when travelling. All our trainers are fully qualified to deliver Health & Safety training. All trainers and tutor undergo continuous training to inform them of changes to legislation and safe work practices. We have very flexible options of delivery including evenings and weekends. We can look at offering further discounts for multiple bookings and contracts. At our Centre we evaluate all our training which is fed back from each individual learner. This information is vital to demonstrate how well we are doing.